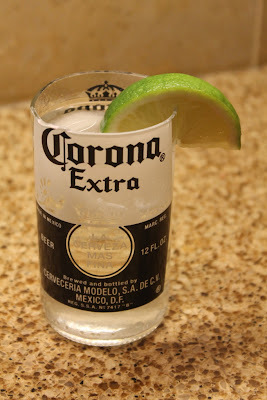 Home made beer bottle glasses: Apparently these aren't too hard to make, all you need is string, nail varnish remover, fire, cold water and some sand paper. Here is a step by step guide. Genius idea for summer parties and you could make a load of different ones from interesting bottles, so long as the labels are printed onto the glass and not on paper! 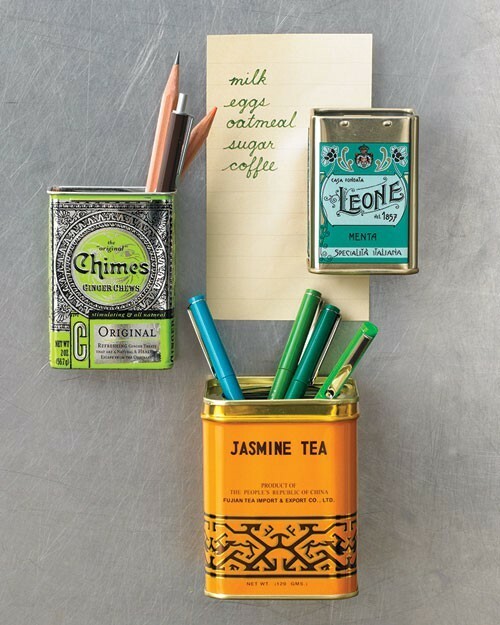 Fridge magnets: Just reuse empty tins and glue a magnet onto the back. Would look great if you could find some really interesting, vintage looking containers to use. 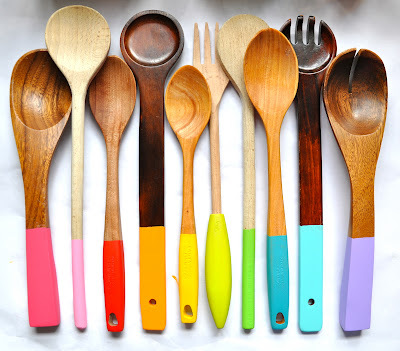 Dip dyed rainbow wooden spoons: What an amazing idea, and soooo easy to do yourself to jazz up the kitchen draws. And if you didn't want to potentially ruin your fancy ones or the ones you have are metal or plastic, I reckon the cheap and cheerful packs of wooden serving utensils you can get from Ikea for like a £1 would be perfect.